Like I mentioned in my previous post, the children are having their hols and TV is a BIG no-no in our household. (I do not watch TV myself) So naturally the onus of keeping kids creatively occupied, falls on me as I am the stay-at-home parent. There are many things that one can do to make good use of time instead of parking them in front of an X-box or TV. Cooking is a great way to keep kids occupied especially if they are allowed to do stuff. 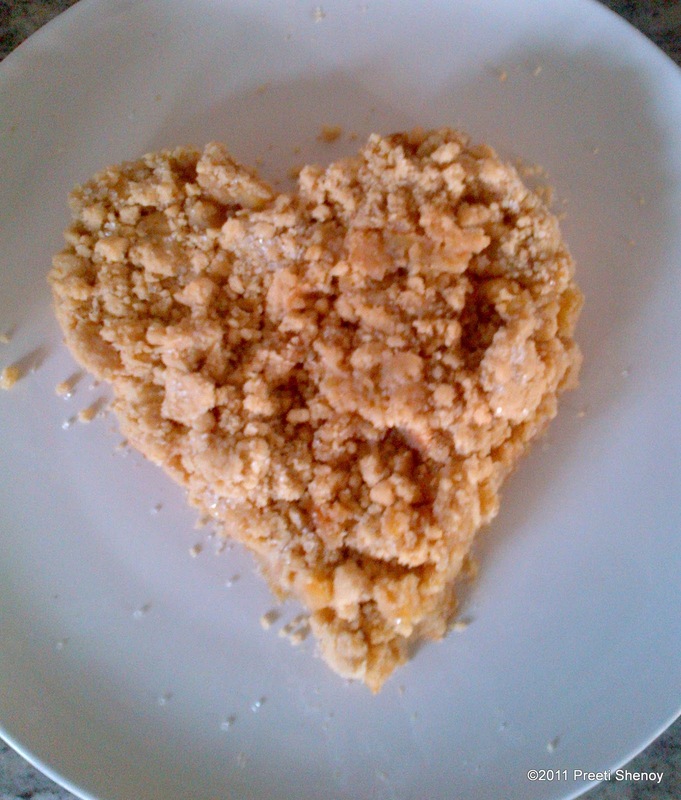 Today we made Apple crumble. The Apple crumble turned out really scrumptious! It was heavenly! And this is how it has to be served. You could heat up a little crumble in the microwave and then top it with delicious Vanilla custard sauce. 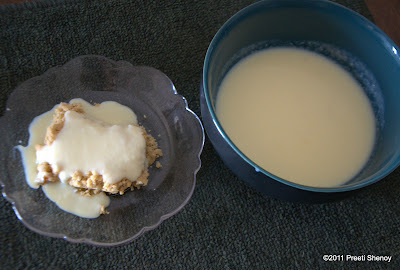 (click on the link to be taken to a very simple easy to make recipe! 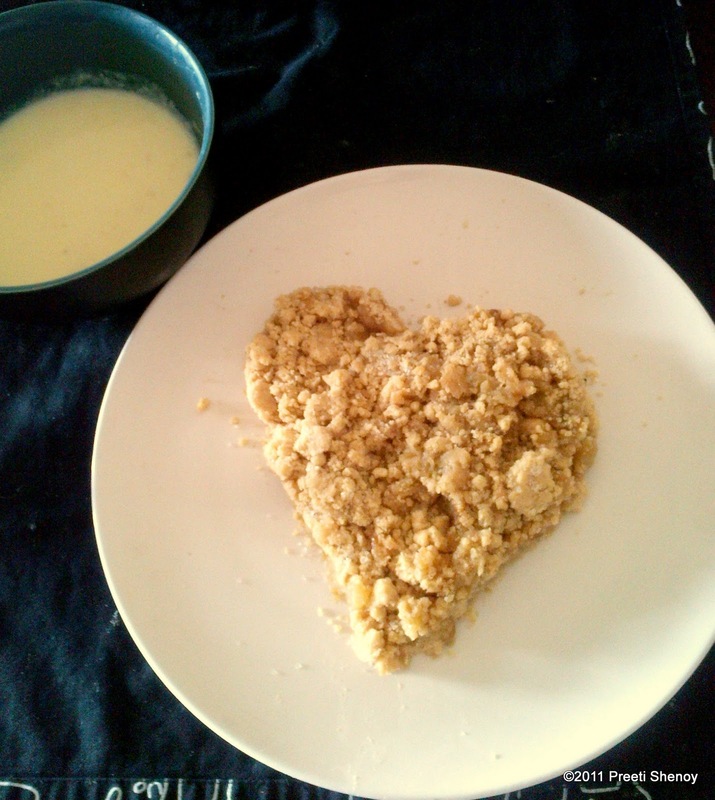 )You can also serve it with ice cream! And in case you want to know how we made it--we just followed the recipe in the link above. Try it even if you do not have kids! That looks yumm, Madame:) And what innovative ideas you come up with to keep the children happy! !